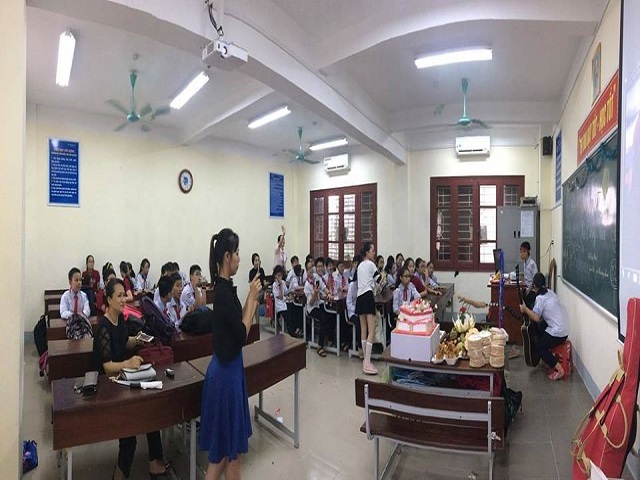 On the fifteenth of August in the lunar calendar, pupils of School for Pedagogical Practice welcome mid-autumn festival in School. 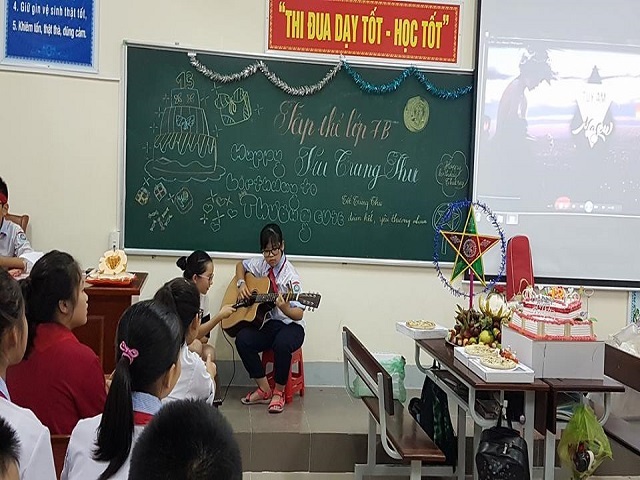 With the goal of learning to play and playing to learn, the School and Association of Parents held a meaningful full-moon festival 2017 for pupils who always look forward to Mid-autumn – the second “Tet” holiday. 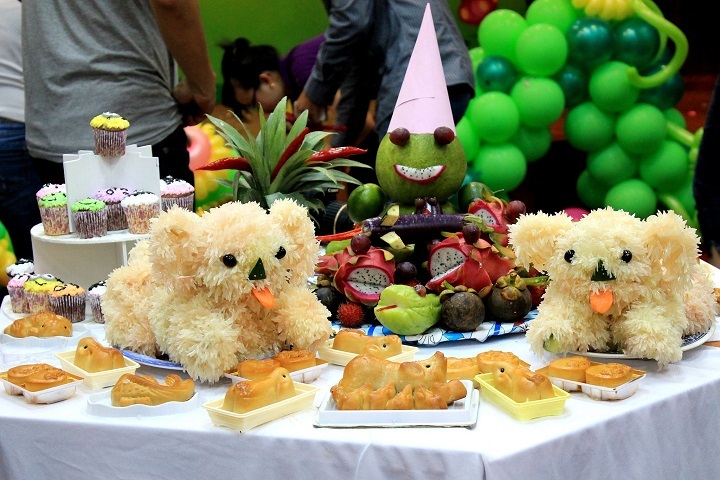 Fruit trays were decorated lively and attractively by pupils. 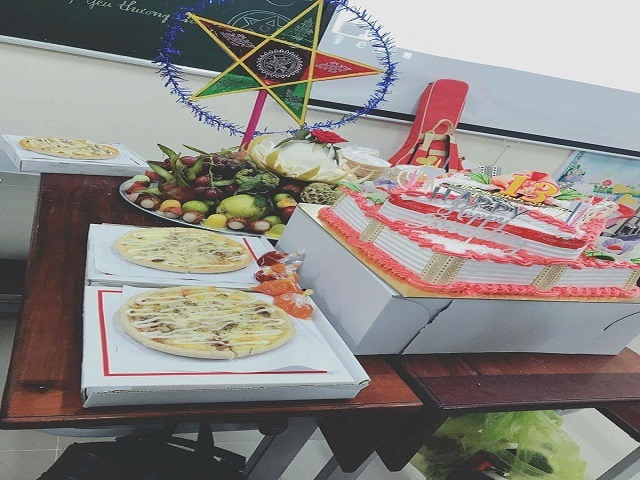 Class 8B and 8C also organized a contest for beautiful-decorated tray among groups in order to show their ingenuity. 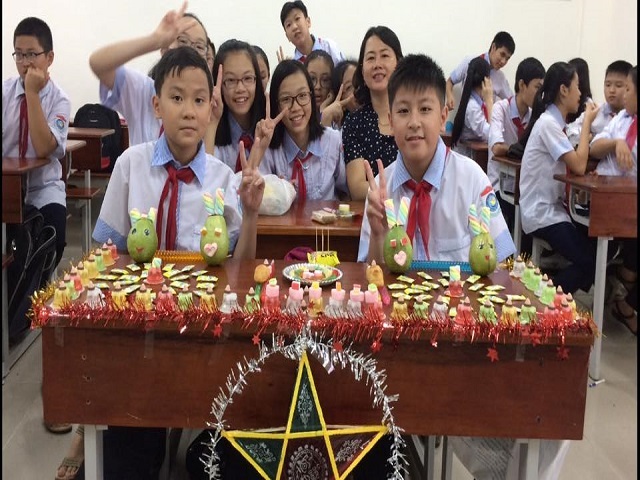 Pupils had tons of unforgettable memories and wonderful moments to enjoy a huge range of activities such as traditional folk games. 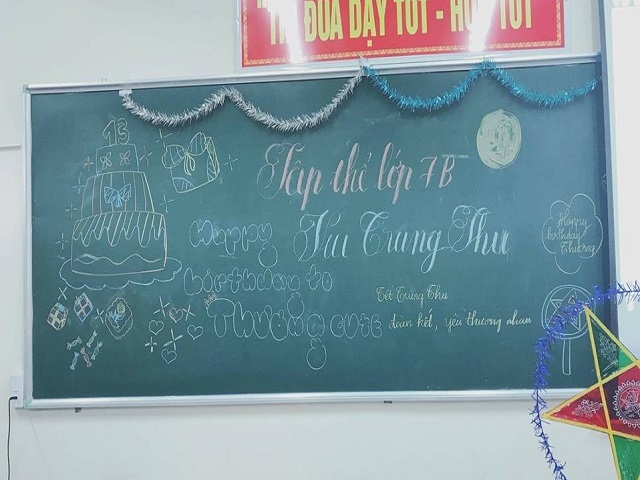 Notably, Ha Thu from Class 7B was celebrated for her birthday in a jubilant atmosphere. 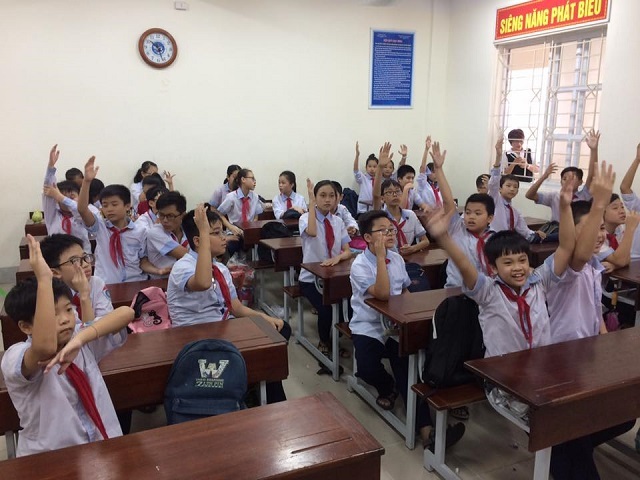 Through organization of the festival, the School and Association of Parents once affirmed their care for beloved pupils – the future owner of the country.